Atrial fibrillation accounts for a great proportion of strokes in older people, and as populations age its importance increases. Stroke prevention with anticoagulants has long been known to be highly effective and new drugs are also available. Historically many patients with atrial fibrillation were not treated. A big question for the health service is whether we should focus efforts on finding more people with undiagnosed atrial fibrillation or on treating more of those with a diagnosis. It was thinking about this that led us to another quite different question. But our method prompted a series of questions. Did we exclude many participants when we excluded those in whom atrial fibrillation seemed to have resolved? Yes, about 8%. How can a clinician really know if atrial fibrillation has resolved? We already know it can be intermittent. Can you really tell if it has gone completely? And doesn’t it often recur? Would it be possible to determine from patient records if resolved atrial fibrillation had really resolved? Then we hit on the right question. What is the risk of stroke in those whose condition is documented as resolved? Treatment of atrial fibrillation is determined by stroke risk. Whether the arrhythmia is intermittent, recurs silently, or has gone for good are distractions from what should inform clinical decisions. If stroke risk in resolved atrial fibrillation falls to the levels of those without atrial fibrillation then most anticoagulants aren’t necessary, but if risk remains as high as those with atrial fibrillation then they probably are. We found that stroke risk was higher in those with resolved atrial fibrillation than those without atrial fibrillation. A further analysis strengthened the conclusions. In terms of their stroke risk, people with resolved atrial fibrillation were becoming more like those with atrial fibrillation. In recent years the risk of stroke in those with resolved atrial fibrillation was the same as in those with atrial fibrillation. This is important because the frequency of resolved atrial fibrillation seems to have increased markedly after 2005. It was also clear that once atrial fibrillation is considered resolved, the prescriptions of anticoagulants almost always stop. We had discovered a group of patients at high risk of stroke who aren’t on the chronic disease register. Because they aren’t counted as at high risk, they won’t appear as untreated in any analysis of anticoagulant use. Ironically this has happened at about the same time as dramatic improvements in the identification and management of atrial fibrillation. Without databases of electronic patient records it is impossible to know what is really happening to patients. Our analysis did not rely on any innovative methods and we have to acknowledge constructive input from reviewers. But in the end we also asked the right question. 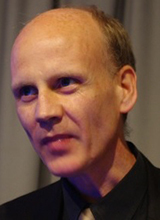 Tom Marshall is professor of public health and primary care at the University of Birmingham. Competing interests: Read the full statement on the research paper. 2. Isaew A, Adderley N, Ryan R, Fitzmaurice D, Marshall T. The treatment of paroxysmal atrial fibrillation in UK primary care. Heart 2017 Jun 1. pii: heartjnl-2016-310927. doi: 10.1136/heartjnl-2016-310927. 3. Adderley N., Ryan R., Marshall T. The role of contraindications in anticoagulant prescribing to atrial fibrillation patients British Journal of General Practice 2017 Sep;67(662):e588-e597. doi: 10.3399/bjgp17X691685. 4. Turner G, Calvert M, Feltham MG, Ryan R, Finnikin S, Marshall T. Clinical & Demographic Characteristics Associated with Sub-optimal Primary Stroke/TIA Prevention: Retrospective Analysis Stroke 2018 Mar;49(3):682-687. doi: 10.1161/STROKEAHA.117.020080. Epub 2018 Feb 13.